With the latest version of Google’s mobile operating system out now on Nexus devices, one of the first things we did here at MobileSyrup was check to see what Easter egg Google had hidden behind the Marshmallow version number. Since Gingerbread, tapping multiple times on the Android version number — found by launching the Settings app and navigating to the “about device” menu — has lead to a variety of fun surprises. In 2.3.3, multiple taps of the version number would unveil a painting of the Android mascot alongside a gingerbread zombie. Since then, each subsequent version of the operating system has brought with it its own take on the Easter egg. With Lollipop, Google decided to include a Flappy Bird clone. 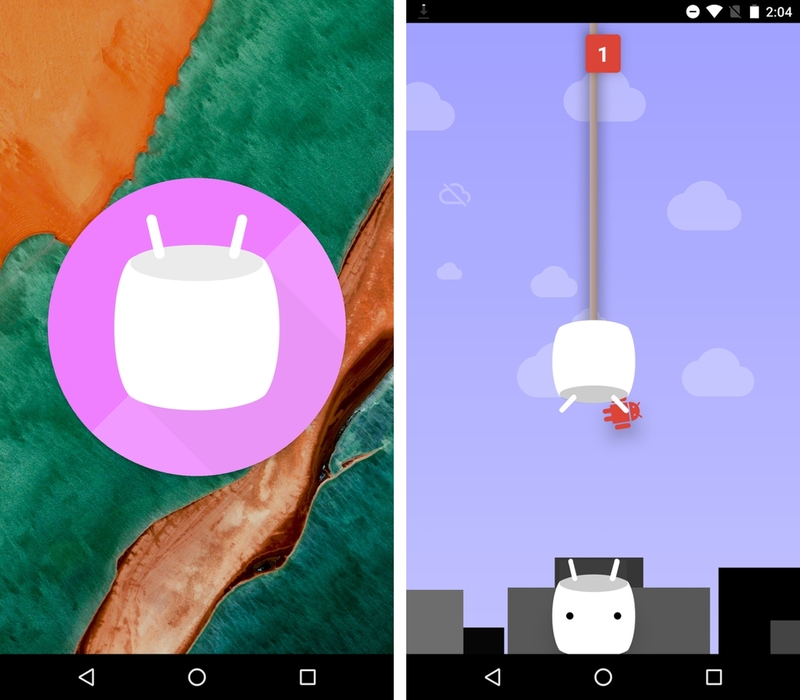 This time around, the game is back, though it’s gotten a Marshmallow appropriate makeover. Gone are the Lollipop obstacles; instead, a series of marshmallow pipes block the player’s path. What’s more, Google has added multiplayer support to the proceedings. Now up to six people can play the game, each controlling their own different coloured ‘droid. With the rollout of Marshmallow limited to a handle of devices for the time being, it will take some time before other Easter eggs are discovered.